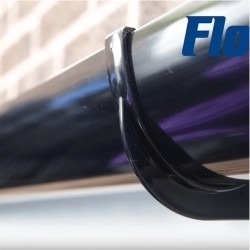 Black Deepflow Gutter is one of our largest selling ranges. 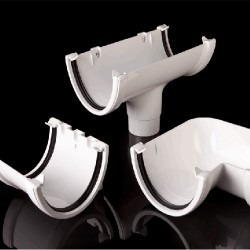 It is smart in appearance yet hugely functional, having the capacity to drain much larger expanses of roof than normal Half Round. 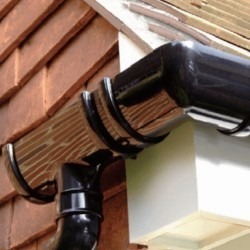 More and more contractors are switching to deep capacity gutters particulartly in the last few years when winters have brought prolongued and heavy rainfall to large areas of the UK. Please scroll down further to read more about this system, or if you have any technical queries then please do contact us.